Located on the 1st floor of the 4550 building, UnaSource Surgery Center is a multi-specialty ambulatory surgical center providing the following services to infants, children, adults, and seniors. Our Center has 5 operating rooms and 18 private patient care suites and is designed for patient comfort, with exceptional attention given to innovative, state-of-the-art technology to ensure patients receive the best and safest treatment available. UnaSource Surgery Center is accredited by the Accreditation Association for Ambulatory Health Care (AAAHC), a member of Ambulatory Surgery Center Association (ASCA) and Michigan Ambulatory Surgery Association (MASA), and licensed by the Michigan Department of Community Health. 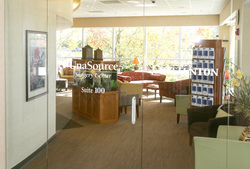 Please visit our website at www.unasourcesurgerycenter.com for more information and a complete list of surgeons who practice out of our facility.